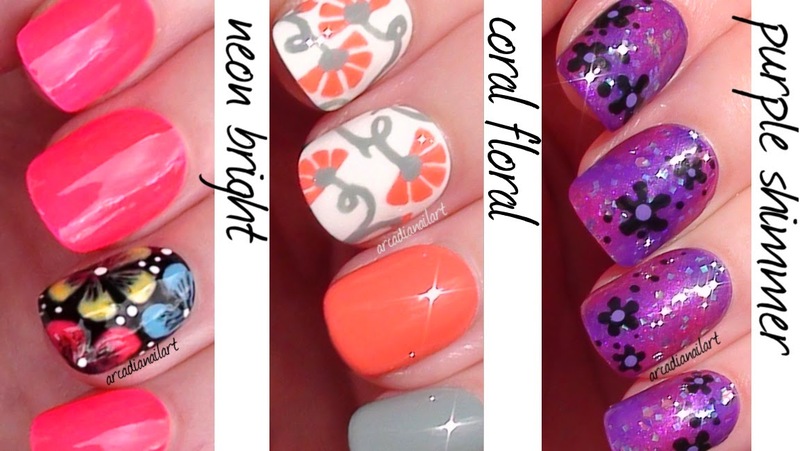 A quick post today to tell you about my new video, in which I made 3 easy and colourful flower designs! Each has a different type of flower that are all easy to create. Take a look at how to make them in the video below, and the description box for the video contains all the polish names.